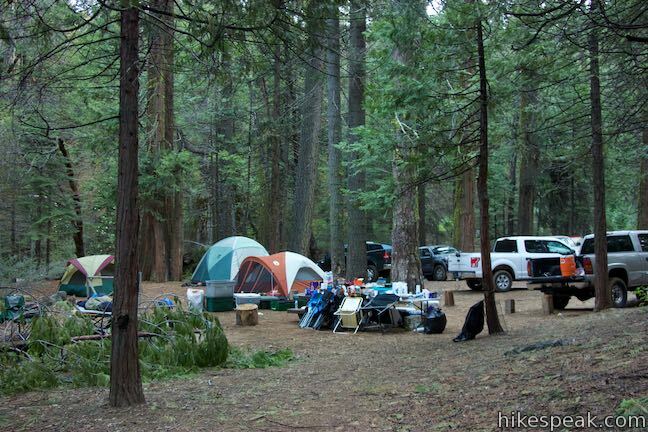 Nelder Grove Campground has seven shaded sites set within a partially logged grove of giant sequoias in Sierra National Forest. 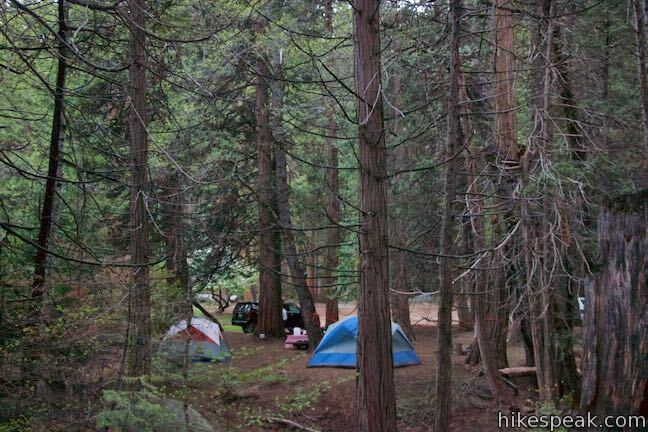 This free campground with minimal amenities offers cozy woodland camping not far from the south entrance of Yosemite National Park. 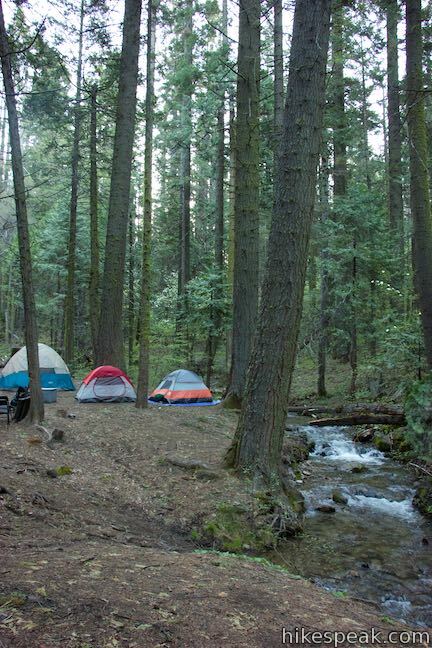 Nelder Grove Campground is a fine spot for a tucked-away night in the Sierra Nevada Mountains. 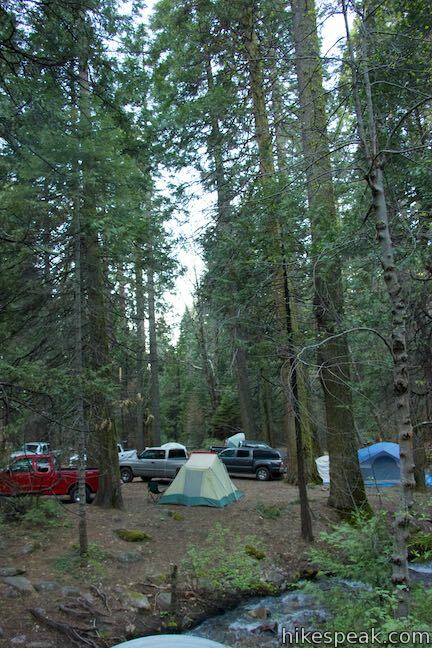 Nelder Grove Campground has seven well spaced out campsites (although the campground feels larger than that). Two of the sites have short walk-ups between the parking and the camping. 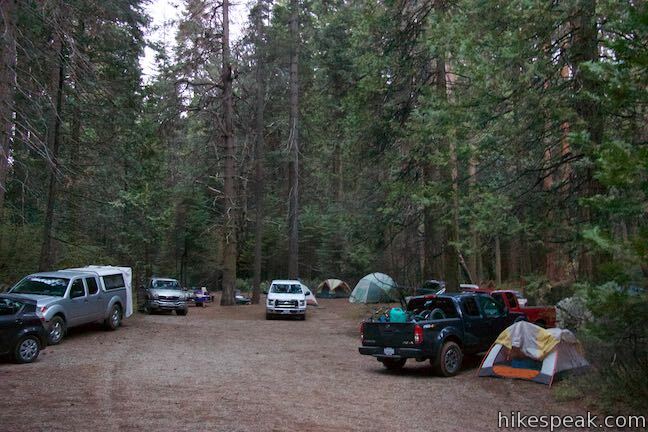 Nelder Grove Campground is appropriate for tent camping and trailers, but RVs will have a tough time reaching the campground, due to the windy, unpaved roads outside Nelder Grove. 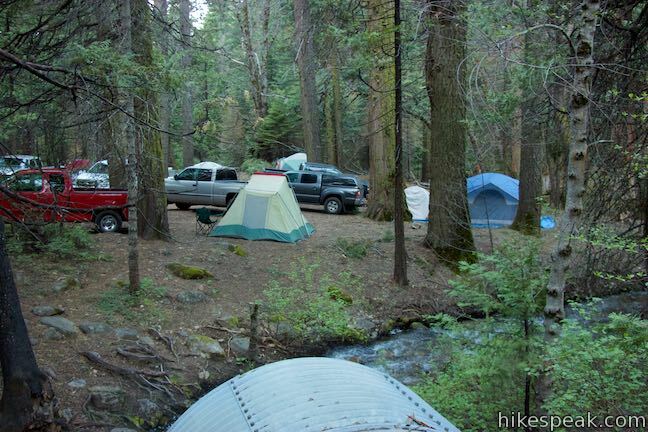 High clearance vehicles may be necessary to drive up the rough roads to Nelder Grove Campground. 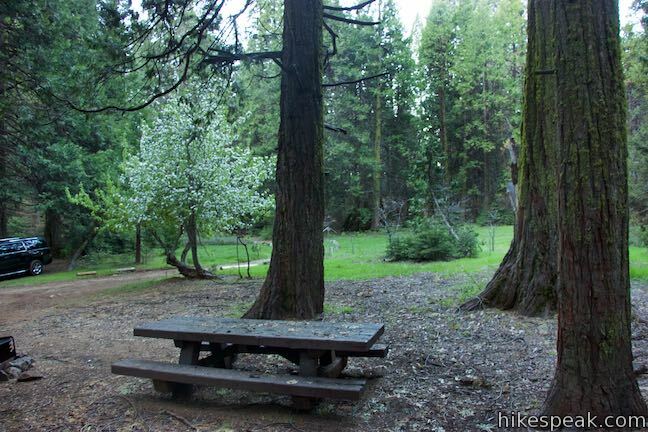 Sites at Nelder Grove have picnic tables and fire rings with grills. Nelder Grove Campground does not have food storage containers (bear boxes), so keep food inside your vehicle. The campground does not have water spigots or trash collection, so bring your own water and carry out your trash. California Creek flows through the campground and could be used as a source for filtering water (in addition to adding beauty to the grove). 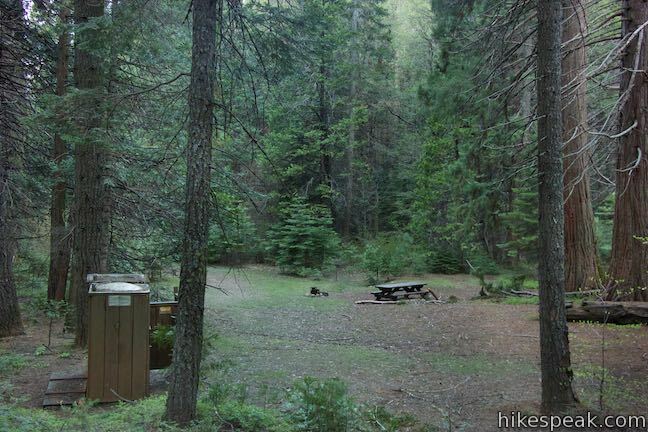 Nelder Grove Campground has vault toilets. Pets are allowed, as are campfires (barring special restrictions). 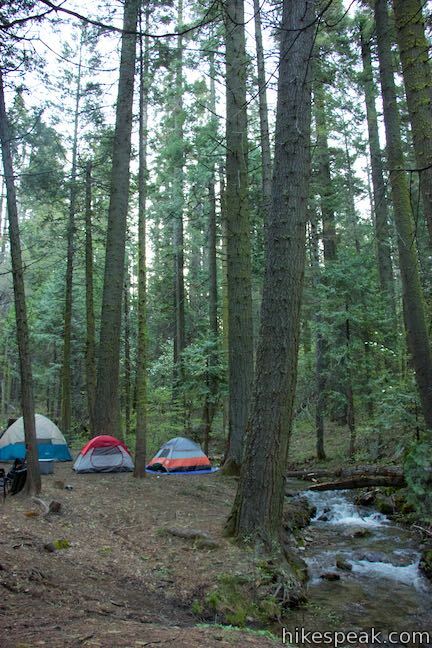 Nelder Grove Campground closes during the winter, and is typically open from May to December. 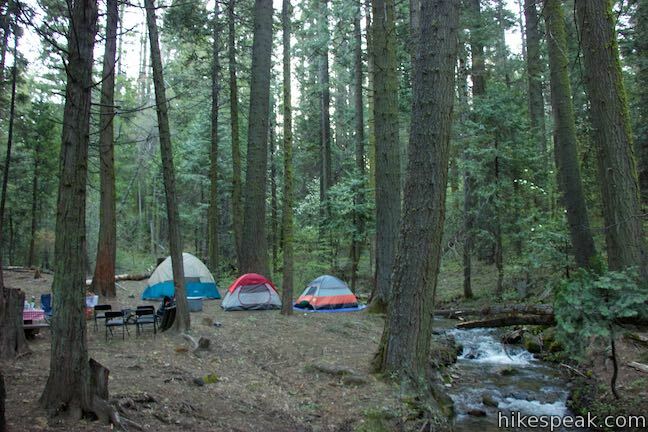 The campsites are free, as no fee is charged to stay at Nelder Grove Campground. Visits are capped at a maximum of 14 days. 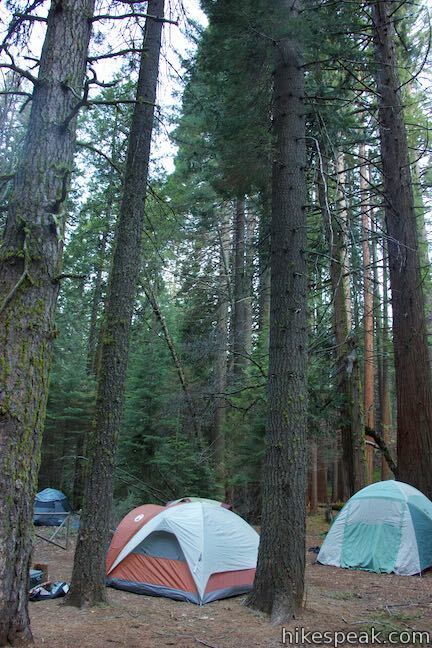 The campground is at 5,300 feet, so chilly nights should be expected. A grassy meadow borders some of the campsites set at the forest’s edge. 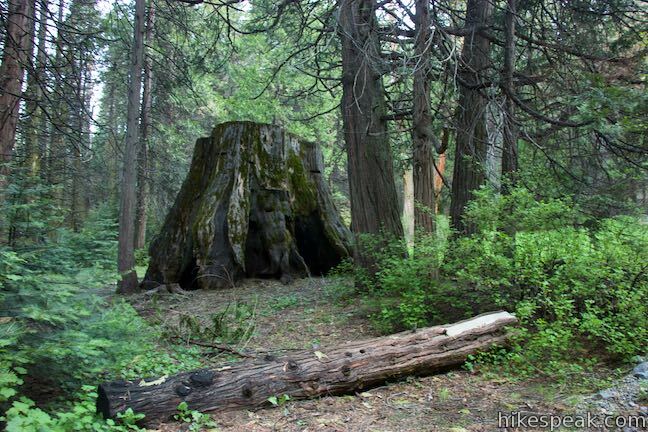 Stumps around the campground offer reminders of all the sequoias that once filled the grove. Although most of the giant sequoias in Nelder Grove were cut down and logged at the end of the 19th century, many mature giants remain. 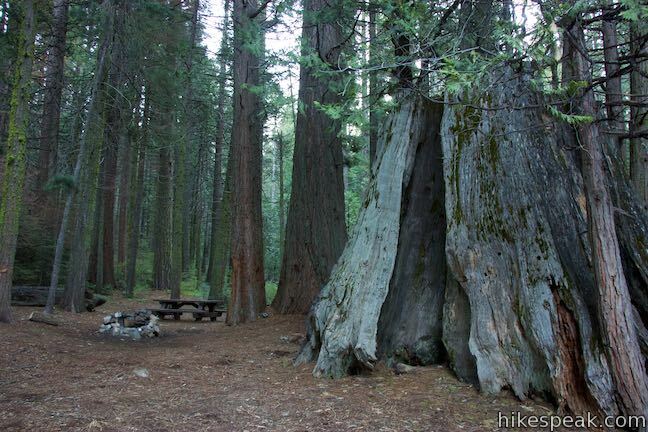 To see giant sequoias up close, you can hike any of the trails leaving the campground, like Big Ed Tree Trail and Bull Buck Tree Trail, or explore nearby Shadow of the Giants Trail. 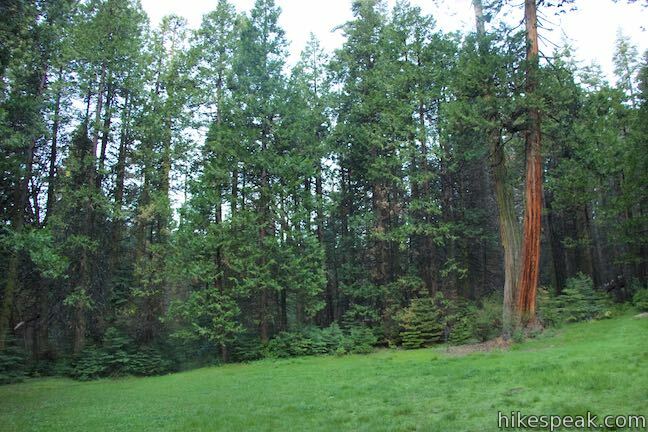 Nelder Grove has a hundred mature giant sequoias dispersed among younger pines, firs, cedars, and dogwoods. 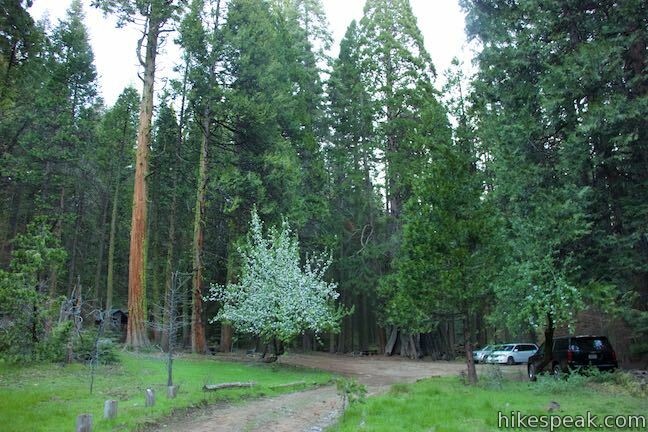 These second growth trees dominate the forest around the campground. Campground Status: The Railroad Fire closed Nelder Grove in the fall of 2017. The campground has reopeend, but Shadow of the Giants Trail remains closed. 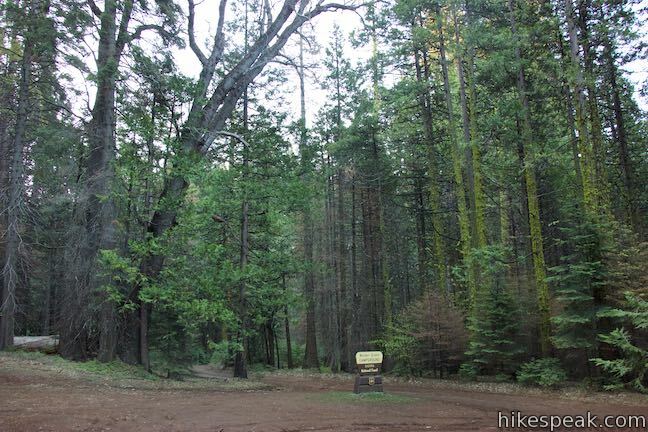 Visit the official Nelder Grove Campground webpage or call Sierra National Forest at (559) 877-2218 for up-to-date information. To get to the campground: From Oakhurst, take Highway 41 north for 4 miles and bear right on Road 632 (signs for Sierra Sky Ranch). Proceed up this road, which winds into the mountains for 6.6 miles, becoming Forest Road 6S10. Come to a T-intersection and turn left onto Road 6S47Y, following signs for Nelder Grove. Drive 1.2 miles to a fork and stay to the right on Road 6S90. 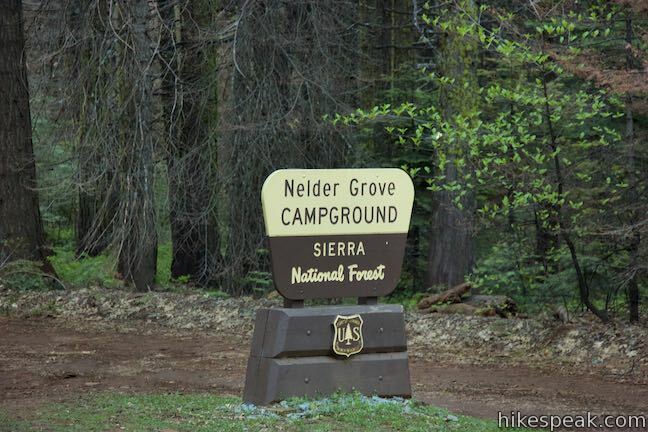 Drive 0.3 miles and make the first left onto 5S19, at a sign for Nelder Grove Campground. Drive 0.35 miles up to the interpretive center and trailhead for Big Ed Tree Trail and go another tenth of a mile to another sign for Nelder Grove Campground, where the road splits to form a circle within the campground. From Yosemite National Park, exit through the south gate on Route 41 near Mariposa Grove and drive another 11.7 miles to Road 632. Make a sharp left onto Road 632 and follow the directions above. This 0.2-mile hike is quite short, but visits a tree that is quite big – part of the Nelder Grove of Giant Sequoias in Sierra National Forest. 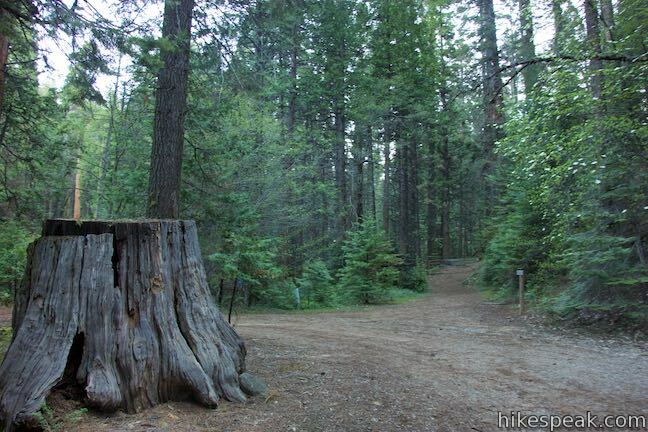 This 0.8-mile loop leaves from Nelder Grove Campground and leads to a single giant sequoia with an incredibly broad base. This 1.1-mile nature trail visits giants sequoias and imparts wisdom about the great trees and their surroundings. This 0.8-mile round trip hike travels down along a rushing creek to a viewing platform in front of an enthusiastic, cascading waterfall. 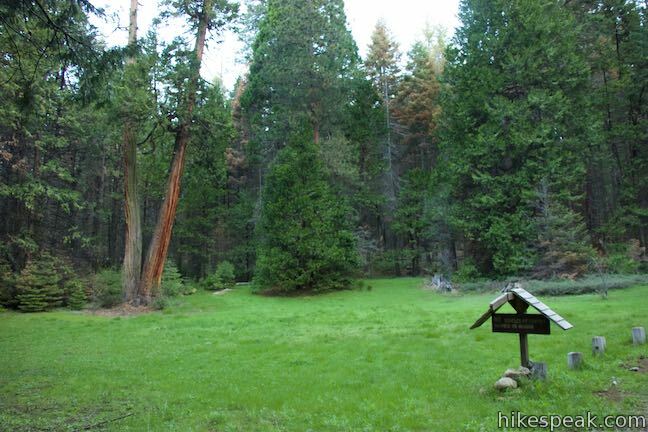 This gentle 3.9-mile loop passes through forest encircling a verdant, mostly-natural meadow near Wawona Hotel at the south end of Yosemite National Park. This 0.8 or 1.4-mile hike leads to a suspension bridge spanning a charming stretch of the South Fork Merced River in the Wawona Area of Yosemite National Park. This 8-mile round trip hike ascends 2,200 feet past a raucous string of cascades to the top of a waterfall alongside Wawona Dome. Explore other destinations around Yosemite National Park and the rest of the range.